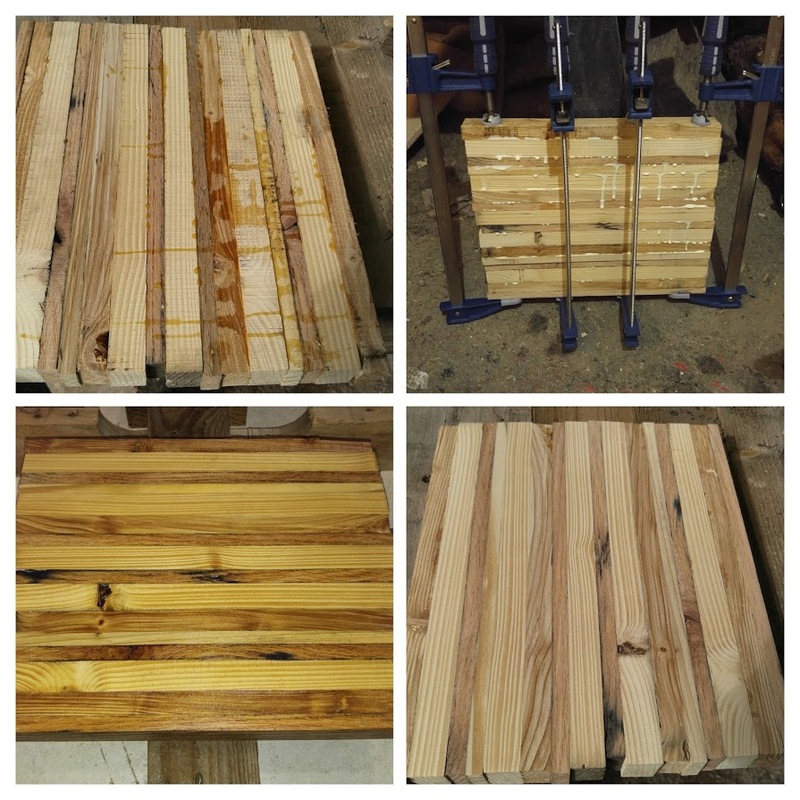 I've seen pictures online of a few people that created beautiful tables using pallet wood by flipping the boards sideways and glueing them together. 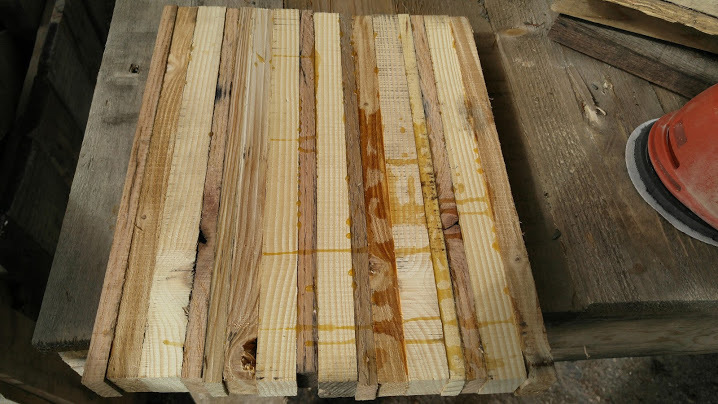 The first step was to take a few boards from a pallet, cut them at 1 1/2 inch wide, flip them and glue them together. 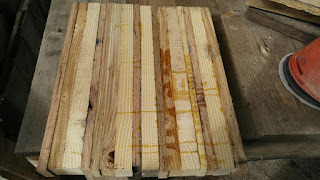 Once this is done and dried, I take a hand plane to the front and back (had not decided which was going to be which yet) and even out the boards better as well as remove much of the glue. 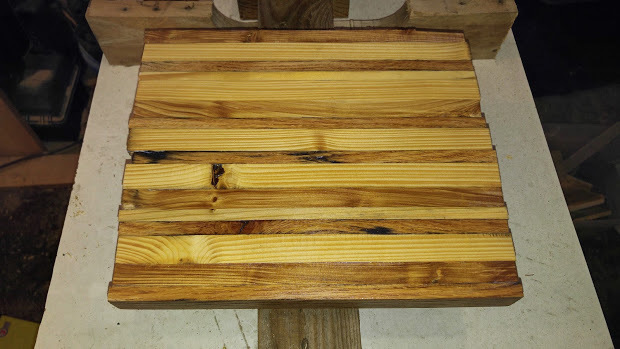 After this, there was still a bit of glue squeeze-out, so I started to use a sander with 60 grit sandpaper and clean up and smooth out the surfaces. 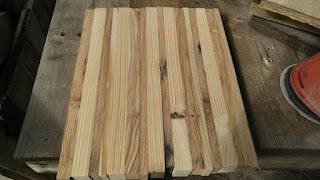 After the sanding the surfaces were quite smooth... This is when I applied some finish to complete the experiment. 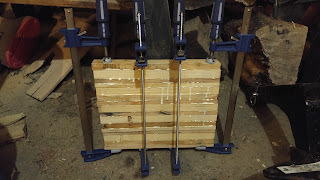 I call this experiment a success... Next step is to make an 8 foot table with the same technique.